Opens only 5 days Mon-Fri with a 2.30pm close! This well-established café has just been totally refurbished including new display cabinets & equipment, flooring, outside furniture, new painting both inside & outside plus new signage etc. Located within 2 klms of the CBD. Positioned right in the middle of Highrise Office Buildings. A local favourite for good quality food at low prices in comparison to other nearby cafes that are up-market and very expensive for office workers. 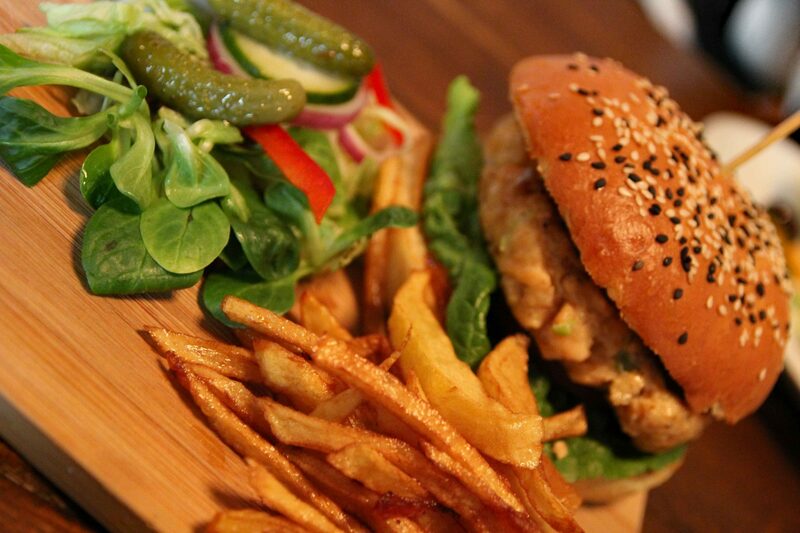 Menu includes healthy alternatives as well as the usual burgers, chips & sandwiches etc. Great operating hours with a 2.30pm close trading only Monday to Friday! Owner states weekly sales are already of over $8,000.00 after being shut for a month for refurbishments and predicts sales to be over $10,000 per week shortly. Easy to operate; owner plus 2 casual staff with weekly wages of $1,500.00. An ideal opportunity for an astute operator to increase current shop sales as well as introduce catering to local offices as already requested by customers. A business like this is very hard to find. Owner states turnover: $8,000.00 per week and increasing (only open 2 weeks since major refurbishment). Rent & including Outgoings of approx. $880.00 per week + GST. Lease: New 9-year lease just negotiated (3x3x3).